By in large, pastors, vicars, or other members of the religious community, are generally well known to be very devout people, who try their best to spread peace and love amongst the masses. However, it has also been known that the reverse could be truer, as seen in this 60 minute documentary made in 2012. In this episode of 'Born to Kill? '; the man with the nice voice, Christopher Slade, narrates the arduous killing spree relating to the sadomasochistic murderer known as 'BTK'. As per usual, Christopher's oration is greatly complemented by a number of video-clips, stock photography, audio inserts, and one on one interviews with people familiar with this crime. Such as Detectives: Richard LaMunyon and Randy Stone. Criminal Investigator: David Wilson. Physiologists: Katherine Ramsland, Helen Morrison, and Louis Schlesinger. District Attorneys: Nola Foulston, Steve Osburn and Danny Saville. Plus the Journalist: Larry Hattebery, with one of BTK's old school friends, Roger Farthing. What now follows is a basic breakdown of how this show plays out. Who was 'BTK'? This was the nickname given to the serial-killer whose real name was actually Dennis Lynn Rader. What were his crimes? Over a thirty year period he sporadically killed ten innocent people, and sent the police taunting messages about his crimes before or after said event. How did he kill them? After he tracked down his intended victims, he would tie them up and strangle them to death in their very own homes, whilst pleasuring himself during the act. Also, on occasion, he would either leave their dead remains where he left them, or alternatively, he would bury them in a field nearby. What was Dennis's early life like? On the surface I'd say that his time on this planet was relatively normal to begin with. He was the oldest of four boys, who was brought up by two fairly normal parents in Wichita, Kansas. What first triggered his strange behaviour? When Dennis was a teenager, he discreetly saw a teacher who disciplined him earlier in day, being molested by her partner at her home. Why did Herbert decide to kill? Strangely enough, Dennis became increasingly sexually aroused by seeing his teacher abashed in this manner, and he decided to take it upon himself to 'get off' on 'pulp magazines' or 'drawing' this lurid act. Ultimately, this resulted in him learning more about this type of practice, before delving into it. 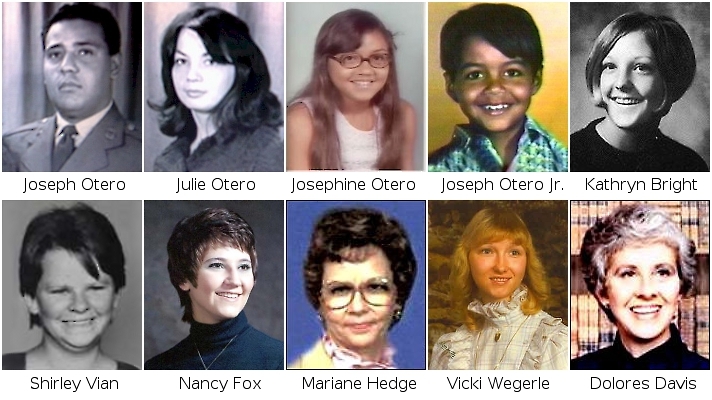 15th of January, 1974 -- he killed the whole Otero family in their own home. 4th of April, 1974 -- he killed 21 year old Kathryn Bright by stabbing her to death. 17th of March, 1977 -- he strangled 24 year old Shirley Vain to death. 8th of December, 1977 -- he strangled 25 year old Nancy Fox to death with her own belt. 27th of April, 1985 -- he strangled 53 year old Marine Hedge to death with his bare hands, and then dumped her into a field afterwards. 16th of September, 1986 -- he strangled 28 year old Vicki Wegerle to death with a pair of nylon stockings. 19th of January, 1991 -- he strangled 62 year old Dolores Davis with a pair of pantyhose, before dumping her dead body in a field nearby. How was he caught? On the 30th anniversary of his crimes, Dennis thought it would be a good idea to tease the police by sending them numerous taunting messages -- as he did many times in the past -- as well as a DVD of himself in the sadomasochistic act. Ops! Big Mistake. Thanks to modern technology, he was caught pretty damn quickly, and sentenced to life in prison. Being a bit of a comic book and movie nerd myself, I'm fairly conversant with how some people need an 'origin' to justify who they are, plus what they are meant to represent to those people around them. In the case of Batman for example: he became the vigilantly he is known as today because his parents were murdered when he was kid. Then again, in the case of someone like the Flash: he became the fastest man alive because he was doused with electrified chemicals. 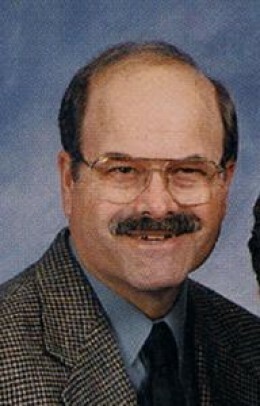 However, in the case of Dennis Lynn Rader -- well -- he doesn't have a justifiable origin, does he? Instead, he had a rather strange experience when he was a teenager, which he expunged upon over time for his own self gratification. Take my previous 'Batman example' for instance. Would it make any sense for him to fight crime if he was the person who killed his parents in the first place? Moreover, what about if it was some sort of other illogical premise? Like if a young Bruce Wayne once saw an old episode of 'Kung Fu', and decided he should walk around Gotham City because he wanted to be like David Carradine. Or what about if he once saw his Dad playing dress up with his Mum, and then decided he should do the same thing in the streets? Now do you see what I'm driving at, dear reader? Dennis's origin doesn't make any sense at all. Plus, in a round about way, proves that some people are just naturally 'wired incorrectly'. Honestly, crime fans, a small part of me would have liked to have concocted an analogy that compared BTK with a comic-book villain such as 'Two Face' (the semi-scared DA seen in 'The Dark Knight'). Giving me all the excuse I needed to surmise that Dennis' scares were less apparent, and only ever manifested themselves whenever he was placed in a situation beyond his control. But I can't, can I? Dennis is a man that I am happy to say I will never truly understand, and is one of the main reasons why I watch 'Born To Kill?' in the first place'. So I can learn -- like he learned -- to shy away from people like Dennis. Now in closing, it would be my honor to dedicate this post to the family of his victims. It really touched me deeply seeing them express their loss in this program, and goes to show that you can not always understand a person or his actions, no matter what you may think. Furthermore, please allow me to applaud this show for highlighting a crime that was so arduous and so perverse, that it may also make people think twice about following in... coff-coff... 'Mister Rader's' unrelatable footsteps.